While I was out surfing the tweetosphere looking for exciting new content and games to report on, I came across a curious little indie creation called Prince 4000 by sole creator Ourotorrus. 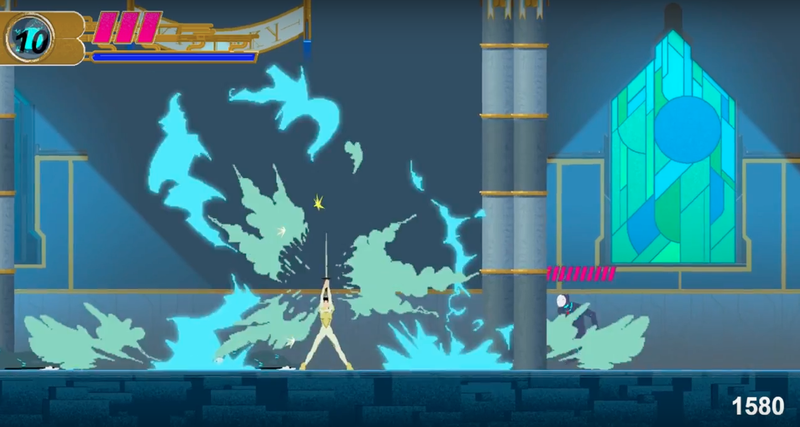 If I was forced to give Ourotorrus’s game an analogy, at first glance, I would have to say Prince 4000 looks like a steroid induced jacked up version of games in a similar vein as, Prince of Persia (1990), Another World (1991) and Great Swordsman (1984), though with a somewhat complete graphical cosmetic overhaul, a chic neon sheen, more fluid controls and a synthwave soundtrack, everything that makes modern neo-retro games fun and exciting. 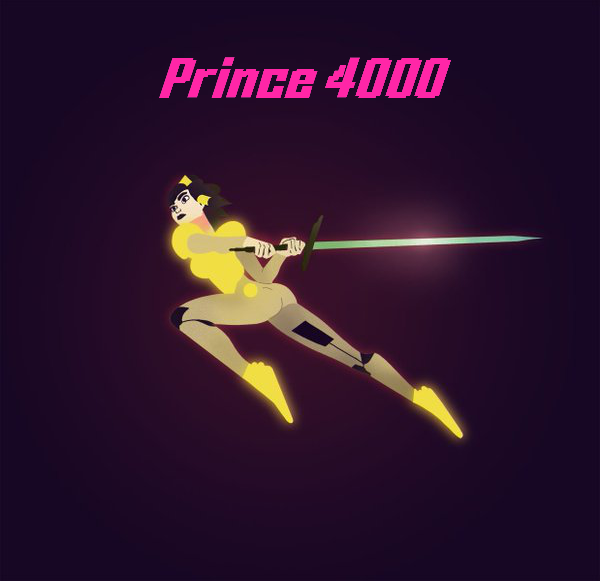 However, to compare Prince 4000 to those old classics would be an injustice, because Prince 4000 looks like a superbly original action platformer with fast-paced swordplay, jumping gymnastic abilities and over the top special power movies. Prince 4000 has not even been released yet and is still in the early stages of development, but I am raving about it, the game just looks damn good, No wait, this game looks bangin’, slammin’, pure awesomeness to the max. I came to that assumption just by the animated gif’s of sprites, screen caps of the game and a short youtube video, but just by those alone I know this game will be something special. I immediately had to find out more about this game, so I decided to contact the man directly, and he was kind enough to share some of his thoughts with me about his game Prince 4000, as well as how he decided to create his own video game. 1 ) RETRONUKE: What was your first games console, and what did you like and dislike about it? OUROTORRUS: The first device I experimented video games on wasn’t a console but the Amstrad CPC. My dad and my brother were playing Pirates and Saboteur on it, that’s my earliest memory of video game’s, I was probably like 5 years old or something, at the time it was just a pure miracle of technology to me. My brother and I were pretty spoilt by my dad and we pretty much experienced all the mainstreams consoles, starting with NES, Megadrive, SNES, Sega Saturn, Dreamcast, N64, Playstation, PS2, XBOX, XBOX360, then I pretty much stayed on PC. However, I did go to a boarding school where any video games were prohibited. With some mates we brought in a Dreamcast secretly hiding it in the wardrobe. Then we would wake up at night to play it without being spotted, obviously, we quickly became proud of our little setup and soon the tiny room we played in became very crowded. 2 ) RETRONUKE: What was your favourite game (or most inspirational game) growing up? OUROTORRUS: Probably Zelda Ocarina of Time. This game fascinated me when I was a kid. The 3D was a revolution, but they also managed to catch something so special with the atmosphere. Although Zelda is considered a kid’s game, there is a lot of melancholy to that world which I absolutely loved and I always wanted to go back there. Not to mention all the gameplay mechanics brought by the 3D, and what was considered at the time as a gigantic open world. I remember when Zelda Ocarina of Time was released, I didn’t have the N64 so I could only play that game at a friend’s house, it was so frustrating. I guess it played a lot into my fascination I developed for it because I spent so much time not actually playing it but thinking about it. I did eventually get my own N64 and copy of the game and played it a lot. 3 ) RETRONUKE: What is your background, did you always make games? On your website it says you are a cartoon animator, what are some projects you worked on and where did you study or are you self-taught? 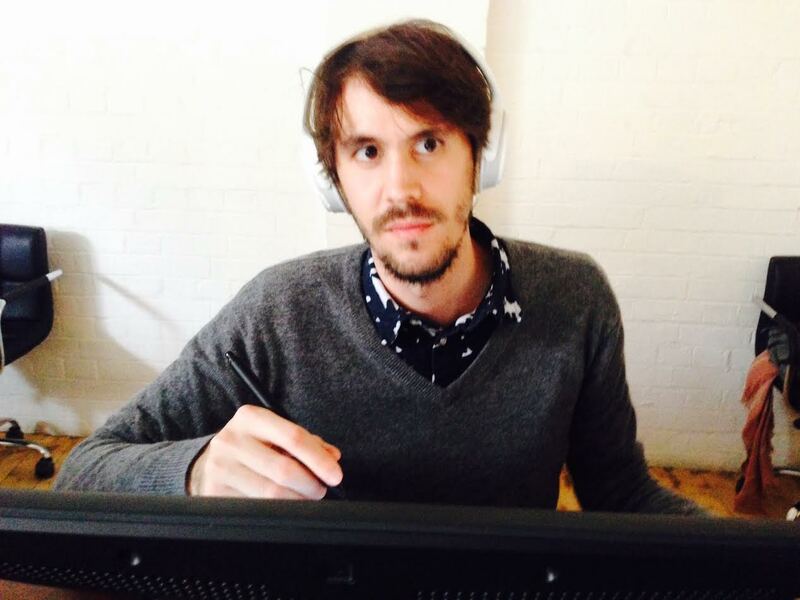 OUROTORRUS: I’m French but I live in London. Prince 4000 is the first game I have ever made; I am doing it side by side with my real job, which is a cartoon animator. I started studying drawing because I wanted to be a painter, but then I studied 2d animation because I wanted to go work for Disney that was my dream for a long time. But then I changed my mind and I studied 3d animation because I wanted to make badass cinematics like blizzard style, so I ended up studying at Supinfocom. I have worked at Cartoon Network on the TV show ‘The Amazing World of Gumball’. 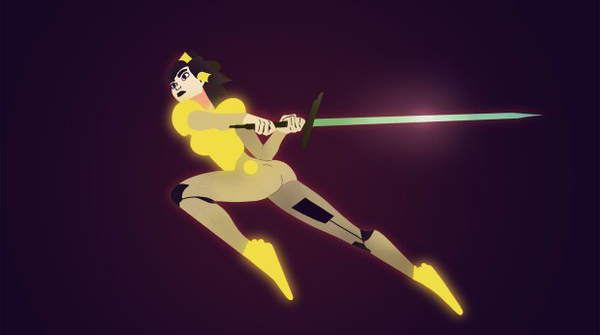 Now I am a freelancer, I mainly work for advertising companies, they hire me to do 2d or 3d character animation, freelancing gives me much more time to do side projects such as Prince 4000. The game-making skill though is purely self-taught, my brother helped me a lot to learn how to do that, he is a web developer. 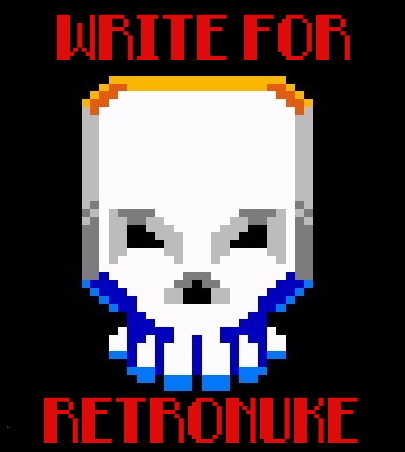 4 ) RETRONUKE: What made you want to make video games and specifically what made you want to make Prince 4000 ? OUROTORRUS: The main reason is that I just needed a place where I could isolate myself and let my creativity explode. Second reason, I want to challenge myself. I love my job but I always have this frustrating feeling of being in my comfort zone or something. In the animation industry, due to the production needs you tend to get pigeonholed, you often have to follow your client’s desires or your boss’s orders, which leaves little room for my own creativity. 5 ) RETRONUKE: OK, so you are making this impressive looking game Prince 4000… What is Prince 4000 about? Could you tell us what the story of the game is without revealing any spoilers? OUROTORRUS: Well, I appreciate that. However, Prince 4000 is a very small project, it is my first video game and I don’t really have many ambitions for it, However, I am a perfectionist so I will do as good as I can. The story is simple, you are the ‘First Sword of the Empire’, which basically means you’re the best soldier, then there is a bad guy who kidnaps the Prince and you have to save him. It’s just an excuse to make a game really… The idea was that you would have to go through all the worlds the Empire conquered to investigate and find the Prince, through this adventure you would get an external perspective of the Empire, the one you’re fighting for. This adventure would obviously reveal a much darker picture of it, with its weaknesses and its vices, but that’s the other part of the game. For now, I’m only doing the first level which is the kidnapping, and which is going to be only action-based. 6 ) RETRONUKE: What will the gameplay be like… Will there be puzzles, will it be fast-paced and what will make this game different to other games in the same genre? OUROTORRUS: I will be very honest; this game won’t be any different to other fighting platform games… As it is my first game I’m not taking any risks on the game mechanics, I am just using very simple mechanics and will try to balance them as good as possible. Although I like to think that there is a certain deepness of complexity in the fighting and that you could push it quite far if you wanted to, but if you don’t you can enjoy the game with the basic fighting features. My original idea was to make a full game with fighting, platforms, puzzles, choice based dialogues, upgrading for your ship and yourself etc… But then I realised how complex and time consuming it was going to be to do that game, so I just brought it back to a much smaller manageable scale. 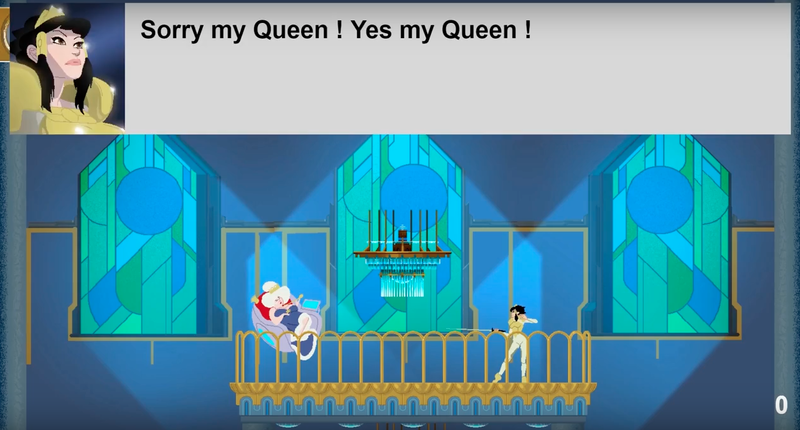 I will first do the first level, which involves only fighting features, I will see how that goes with the people playing it, and if they like it, I will do the rest of the game. 7 ) RETRONUKE: I love the art style (cell shaded) of the sprites, what inspired this style in art direction and why were you drawn to this style? OUROTORRUS: I don’t really know. It’s not really cell shading because it’s made in pixels in photoshop, but for some very complex animations I can use a 3d model to help me.A very good friend of mine, who is also my flatmate, actually designed a key frame with the backgrounds and then I drew other assets following his style. His name is Colin Bigelow; he is an incredibly talented illustrator and designer. You can check his work below. 8 ) RETRONUKE: What game development tools are you using ? OUROTORRUS: My brother showed me software called Construct 2, which is kind of a simple software to make games. I am using this to make Prince 4000. Construct 2, so that’s HTML5. For the animation, I am using Photoshop, and when needed, for complex animations, I can use 3D animation to help me, like with Maya. 9 ) RETRONUKE: Music is such an important part of the gaming experience, what style/genre of music would you like in this game, and have you approached anyone yet about doing the music ? OUROTORRUS: I did, I have met such a sweet guy from California on Tweeter who accepted to do my music. I am super happy with what he did, it’s really good, exactly the kind of synthwave I was looking for. Thanks a million times to you Brian. 10 ) RETRONUKE: What is the most rewarding aspect of being an indie game developer ? OUROTORRUS: Hahaha The best would be to see someone becoming passionate about it obviously. I think my goal, beyond making a good game, is to create an atmosphere people would love to come back to. 11 ) RETRONUKE: When will we be seeing Prince 4000 and what platforms will the game be available for ? OUROTORRUS: The first level should be available in the next months; it will be for Internet browsers, possibly a version for I-pad. I would love to have a console version but that would require some development skills that I don’t have to convert the game. I still have to deal with stuff in my professional / personal life at the moment, but as soon as I have free time I will finish this, which should happen around Christmas. 12 ) RETRONUKE: What do you feel is so special about Video Games in comparison to other art forms ? OUROTORRUS: I guess someone should write a book about it if it doesn’t exist already. To keep it simple I would say the interaction between the audience and the world being created, when you read a book, watch a film or listen to a music you don’t interact with it, it does interact with you creating emotions and stuff, but you cannot change the actual film, music or book itself. Maybe if you go to the theatre you can be the unlucky guy who has to go on stage, but that is very different to the strong bond you have with a video game, where you’re responsible for the life or death of the main character. 14 ) RETRONUKE: What indie games are you playing at the moment? OUROTORRUS: I must say that I’m overwhelmed by the production of games and I struggle to follow all that is going on. Recently I have been enjoying playing ‘Hyper Light Drifter’ and ‘Momodora : Reverie under the Moonlight’. Generally I rely on my friends to tell me what are the good indie games to get, however, there is one that I would like to see released (it’s currently beta, but pretty solid beta), this is ‘Rimworld’. But I don’t like to play unfinished games so I wait until it’s being released. RETRONUKE: Thank you Ourotorrus for taking time out of your busy cedula, and I look forward to playing you game soon. Ourotorrus is such a humble guy, and after talking with him about the development of Prince 4000 I truly get the feeling he is making the game that he would like to play, which is totally a good thing, because that means it will be a game made for the players and honestly that is why indie games are so good, because they are not confound or corrupted by studio interference and get to make the games they want to make. 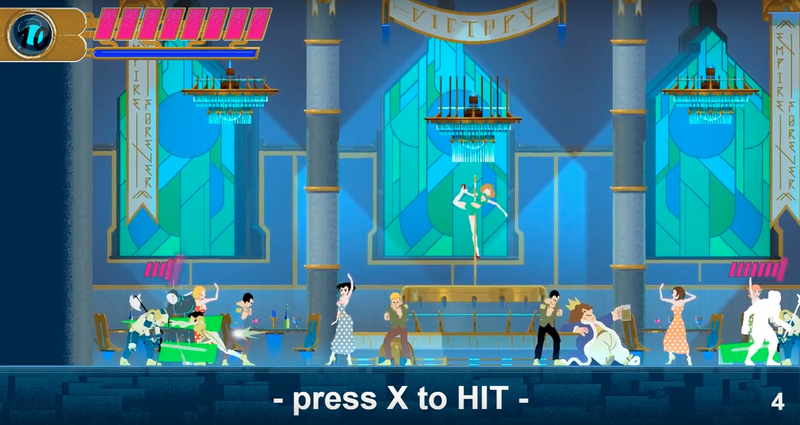 If this has not hyped you up yet or got you excited for his up and coming game Prince 4000, well check out the trailer below, it is guaranteed to get your trigger fingers itching and your prostate pleasure spot pulsing for some excellent sidescrolling goodness. Now I know that video got you pumped, so for more information about Ourotorrus and Prince 4000 follow him on twitter and tumbler, links below, and show your support for this amazing game.